A few weeks ago, when I learned Nick Earls had won the gold Ippy award for Best Adult Fiction ebook and called him to let him know the news, I also let him know that I wish our publishing company’s budget included funds enough to fly him and his family to Manhattan to collect said award. He asked if it was something I’d be able to do, that maybe the award could be as good for the press as for him and his book, and I told him I’d be honored. So over Memorial Day weekend, my wife and I dropped off our dogs early Sunday morning and started our drive. We planned to cut straight east, through Philadelphia, to see my siblings in southern New Jersey before darting up to Jersey City, where we were staying a PATH train away from the World Trade Center. It was bittersweet. Sweet because I was honored and excited to represent Nick, to collect his well-deserved accolades and try to continue spreading the word about his books. Sweet also because Manhattan is one of my favorite places in the world, a city that always feels like a planet unto itself, and because that’s where my courtship with my wife was. I realized how deeply in love with her I was in Manhattan. We giggled through Times Square, visited the Strand. I proposed to her at the Cloisters, which part of me is convinced became my favorite place in all the world when I first saw it, nearly two decades ago now, because at the time I had a memory of my own future. You can probably imagine, then, that 2016 wasn’t my favorite year. For all the reasons 2016 wasn’t everyone’s favorite year and then for that one, as well. I’m sure there are many other people who feel the same way, who experienced loss on top of chaos. When Nick asked if I would get the award, I told him my wife and I would be happy to make the trip. And we were. We haven’t really had a trip completely for leisure since 2015 or so. One of the things I’d wanted to do was see the new World Trade Center. When my wife and I moved away from Manhattan, the PATH WTC stop was mostly plywood and chainlink anchored with what felt like heartbreaking anticipation, though that might have just been me. After September 11th, part of me ached for a return of — not normalcy, exactly. It wasn’t that. Maybe it was just seeking some way to breathe and to grieve. Wanting to see buildings and business there, at that site again, where once they’d been. It wasn’t a great experience, but possibly because we’d gone on a national holiday, and while we as a nation were intended to be mourning those lives lost in the myriad battles fought for our national identity . . . only part of the mood at the WTC Memorial was somber that day. For me, too much of the mood included selfie sticks and one young woman forever burned in my own memory as having basically Vannah White-d the memorial pools. She was there with a guy I assume was her boyfriend, and as they approached the northwest corner of the north pool she stepped in front of his camera and shot one arm high and the other to the ground like an oblivious Saturday Night Live-era John Travolta, smiling for Insta-hearts and FB likes, and my wife and I left basically right after. We returned to our hotel, where a wedding party celebrated and we could watch twilight fall over the new tower. Tuesday night was the IPPY awards. After a visit to Fountain Pen Hospital not far from WTC (highly recommended), we made our way uptown. Well. We intended to make our way uptown. Not before we got on the wrong A train first and ended up in Brooklyn, and then double back uptown to Times Square. Yes! The Copa Cabana! The funny thing is that as long as I’ve known the IPPY awards ceremony would be at the Copa Cabana my next thought has been “Music and blasters and old Jedi masters” because for me the original has been supplanted by Weird Al’s Star Wars Cantina, and I think that’s okay. Heading up we got stuck among the Times Square theater crowd, a bunch of people either confused or waiting for Phantom of the Opera doors to open (that show is on right now? Really?) before making it to the Copa. That’s how people in the know refer to it. Ring-a-ding-ding and all. At the #ippyawards ceremony! 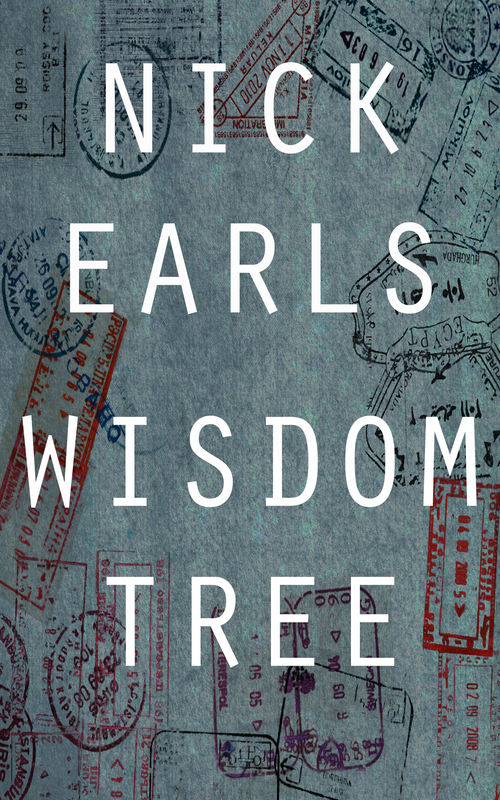 Congrats to all the winners, especially Nick Earls for the gold Best Adult Fiction ebook for Wisdom Tree. That’s Jim Barnes up there at the mic. I’m not sure of Jim’s official title, but Jim sent out most of the logistical emails in the days leading up to the event and did a great job of announcing all the winners on the night of — and there were many. One thing I liked about the IPPY process was the multiple categories, because I thought it was great that, say, a cookbook didn’t have to compete with a fantasy book. What’s more, the fee for submission is reasonable, somewhere around $90 if I remember correctly (for context, I think the Pulitzer organization requires $150, again IIRC. Remember, though, that I would have submitted my novel back in 2011, so that may have changed). And what was also awesome is how happy everyone was to be there. It was an atmosphere of total celebration. And there, the selfies and the poses with books and medals was totally appropriate! I wish his cover showed up better in the images, but LCDs just don’t photograph well, apparently. I held his medal because it’s HIS, after all. The ebook group was toward the end, so I collected the medal and then talked to a few fellow winners, Jim, and a couple of other Independent Publisher folks before heading back for the evening. It was terrific. The Independent Publisher folks have been doing this for years, and it’s only been growing; this year was the first the ceremony was held at the Copa, and I get the feeling that previous venues were likely smaller. That’s what I’m still working on. Do awards really lead to sales? I talked to one author who noted he was in Amazon’s White Glove program (that’s one Amazon has authors’ agents), who said his sales had gone from a few thousand to tens of thousands and was only growing. I can tell you that we’re not there yet with Wisdom Tree, but I can also tell you we’re hoping. Because it’s a book that’s been highly praised by the likes of Elizabeth Gilbert, The Guardian, and basically every Australian publication you can list, but simply hasn’t caught on yet here in the States. But hey, you can help change that: here’s the preview, and if you like it, pick up a copy. Leave a review. According to my Gmail account, I wrote to Nick Earls just two days ago that, though we had submitted for the Ippy awards (and I thought we had a good shot), we sadly hadn’t been selected. Earlier today, while I was at my dayjob, I was in a meeting when I noticed I’d gotten a call that had gone to voicemail. Which Siri/Apple helpfully transcribed — about as well as anyone might transcribe an interview with the current US president. Which is to say it was garbled and there might have been three complete sentences among a dozen, with lots of ellipses and some random nonsensical tangents. So I returned the call AND THAT WAS WHEN I DISCOVERED WISDOM TREE WON AN IPPY AWARD FOR BEST ADULT FICTION EBOOK. I missed the selection because I wasn’t looking at regional/ebook. But there it is. I’ve known Nick’s work for more than 15 years now. I read Perfect Skin just weeks after moving back in with my parents after 9/11. I’ve been working with Nick for going on five years. Nick is the reason Exciting Press is a thing, a business, an entity. Nick was the first author besides me I signed on to publish. And honestly, I’m one to take big bites before I know what I’m doing. I’m lucky that Nick has been patient while I’ve grown and explored and figured out what Exciting Press is and how we work. Nick is a brilliant author I’m honored and challenged to work with because working with him means I need to do better. What I like is that that’s true of all the authors I work with. They’re all amazing, and as their publisher it’s a challenge to do better by them. To keep revising formats and covers and strategies and approach to continually improve to be sure that awesome work is getting what it needs. I’m so proud Wisdom Tree won Best Adult Fiction Ebook. Because Nick had a vision, and challenged me with making it reality. With making a great ebook. I talked to Nick just a little while ago to tell him the news. I hope he could sense my palpable excitement, and I hope his excitement only increases. We made a great ebook. An Ippy-award-winning ebook. I couldn’t be more proud or excited. Do check Wisdom Tree out. It’s wonderful. Don’t take my word for it. Or Nick’s. It won an Ippy.